Microsoft is hard at work adapting its Windows 10 cross-platform operating system to adapt to foldable devices. 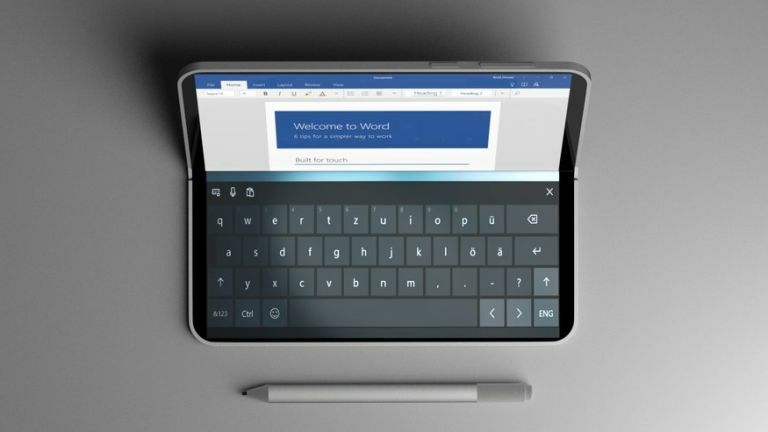 According to a report in The Verge, the Redmond-based company is designing folding handsets and dual-screen hardware for both its Windows operating system, and its Surface product business. The US company is also purportedly adapting its built-in applications to work with these next-generation foldable and dual-screen devices, codenamed Andromeda. Microsoft is also purportedly working with third-party Windows 10 manufacturers to ensure that the operating system works with these next-generation devices. PC makers famously kickstarted a torrent of two-in-one hardware following the launch of Windows 8, and we're expecting to see a similar push with dual-screen and foldable gadgets in the coming years. Dual-screen and foldable devices will not be limited to Intel chipsets, The Verge reports. Expect to see a full range of devices, including those based on ARM chips. Microsoft is developing a foldable version of its own Surface-branded devices. According to those with knowledge of the company's plans, Andromeda is designed to blur the lines between what is traditionally considered PC and mobile. The as-yet unannounced product will ship with a stylus, similar to the Surface Pen available for the Surface Pro, Surface Laptop and Surface Studio range, according to sources. Microsoft Surface VP Panos Panay has previously branded the device "awesome" and described it fitting into people's workflows "like a Moleskine". Microsoft is far from the only company busy working on foldable hardware. Samsung briefly unveiled its pliable flagship smartphone, dubbed Galaxy X, during the Seoul-based company's annual developer conference in San Francisco last year. The smartphone boasts two separate OLED displays, although only one has the ability to fold. The front of the Galaxy X sports a 4.5-inch screen, known as the Cover Display. According to the South Korean firm, this OLED display will work in a similar fashion to existing Samsung handsets. Based on the heavily-disguised prototype unveiled on-stage during the developer conference, the Galaxy X appears to have chunky bezels at the top and bottom of the handset. If you're looking for more screen real estate than is available with the 4.5-inch Cover Display, opening up the handset reveals a second screen that's almost twice the size. The foldable 7.3-inch Infinity Flex Display unfurls like the pages of a paperback to offer a bigger screen when playing games, watching movies, or running up to three applications side-by-side – a new feature that is called "multi active window". Apps that are running on the smaller 4.6-inch cover display when users unfold the larger tablet display will appear on the bigger screen in the same state you left them.